OnePlus was officially founded on 16th December 2013 by former Oppo vice-president Pete Lau and Carl Pei. The company’s main goal was to design a smartphone that would balance high-end quality with a lower price range better than the other phones in its class. The company motto was to believe that users would “Never Settle” for the low-quality devices produces by the other brands. OnePlus 3 is one of the best android phones in 2016. This phone was officially launched on June 14th, 2016. OnePlus 3 might be the first affordable phone that truly provides features as great as the high-priced flagship phones like Samsung, HTC, and others have. OnePlus 3 has a 5.5-inch 1080p display with a 401 pixel per inch. Powered by 820 processor and 4/6 GB RAM variant, OnePlus 3 is actually what you will get more than the others are offering you at the same price range. The 3000 mAh battery is good enough to last the whole day for you. Besides, they have dash charging capability which is the best in class in the industry. Moreover, you will get 64GB of internal storage. OnePlus 3T is almost identical with OnePlus 3 in most cases. The OnePlus 3T model is available in the darker color than the OnePlus 3, namely gunmetal and soft gold color, but the body of both devices is made of the same aluminum alloy. The biggest improvement in OnePlus 3T is in the camera section. Now you will get 16 MP selfie shooter instead of just 8 MP of a camera in OnePlus 3. OnePlus 3T has updated their Electronic Image Stabilization algorithm to get more stable videos and get rid of unwanted shakes. With a Snapdragon 821 chipset clocking at 2.35 GHz and 4/6 GB of RAM, this phone is a beast in performance. 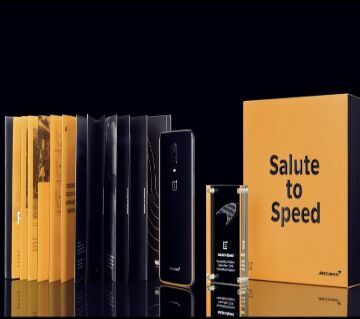 This means this phone has faster processing speed with greater power efficiency at the same time. As a result, you will get a whole day long lasting battery life. 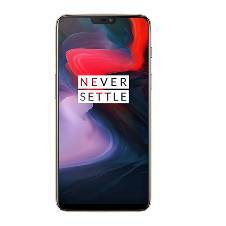 OnePlus 5 takes things to another level with a high-end specification and a higher price tag but not that high like the other flagship companies are offering. For the Price, the OnePlus 5 is an awesome deal. OnePlus 5 is a really good looking smartphone but it looks like iPhone 7 plus from the back even the camera placement, blended antenna lines, and even the flash. This phone comes in two colors and also with variable memory and storage option. With the 64 GB model you will get 6 GB of Ram and with the 128 GB model, you will get 8 GB of Ram. With a 5.5 inch AMOLED panel with a 1080p display, this phone is really sharp for your day to day use. Powered by Snapdragon 835 processor, this phone is powerful, perhaps more powerful than you actually need. 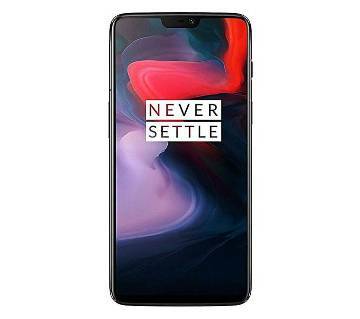 Buy OnePlus 5 from AjkerDeal.com at a reasonable price in Bangladesh. Check out the price of OnePlus 5 in BD. Browse AjkerDeal.com to find out the latest and greatest deals on a smartphone. Find out Oppo mobile price in Bangladesh at AjkerDeal.com! When the rest of the industry flagship phones decided to embrace 18:9 screen ratio display, OnePlus 5T also decided to keep up the pace with the latest flagships. That’s why after 5 months of launching OnePlus 5, the company decided to come with OnePlus 5T. As of OnePlus 5T is now adopting 18:9 aspect ratio, they have moved the fingerprint sensor on the back where it should actually belong to. They also introduced the fastest face unlock system in OnePlus 5T. The 1080p AMOLED panel is practically flawless; the only difference is the larger screen size in 5T. This phone has a dual camera on the back and 16 MP front camera. In the back one 16 MP with an f 1.7 lens and the other is 20 MP camera. It is called Intelligent Pixel Technology. The OnePlus 5T camera is strong but not the best. Its 3300 mAh battery will last you the whole day with moderate use. But don’t forget about the DASH charger. Just plug your charger for 30 min to get your 55-60% battery. Boom! Why bothering for battery anymore? OnePlus 5 was already one of the most powerful Android smartphones on the market. OnePlus 5T is as snappy as its predecessor with a powerful Snapdragon 835 processor and a generous 6/8 GB of RAM. This Phone is an absolute beast in multitasking. Check Huawei mobile price in Bangladesh at AjkerDeal! AjkerDeal.com is the leading e-commerce website where you will find lots of smartphone collections. 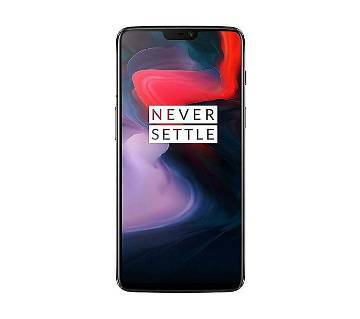 Check out the price of OnePlus mobile in Bangladesh. You will also get EMI offer on all OnePlus mobiles on AjkerDeal. Start feeling the power of OnePlus mobile right now and pay later. Happy Shopping with AjkerDeal.com! Check out HTC mobile price in Bangladesh to get the best deal on AjkerDeal.com! Check out Asus mobile price in Bangladesh at AjkerDeal.com! Also check Lava mobile price in Bangladesh. Also check out xiaomi redmi note 4 price in bangladesh at AjkerDeal.com to get the best value. Experience a great shopping with AjkerDeal.com and grab your smartphone from our site to get the best deal in the market. Also Check Nokia mobile price in Bangladesh! If you are interested in Nokia phone and looking for the best deals onNokia 6 price in Bangladesh then check out AjkerDeal.com to ge the best price.